Dr. Wilcox's Apothercary is housed in an old cottage within the town of Foxcroft. She has a cottage garden full of fresh grown herbs that she processes into various tinctures and tisanes. Wilcox's is a very herbal blend featuring dry woods, fresh sage, rosemary, lavender, chamomile, dry woody spice (think fresh grated nutmeg but very woody), mugwort, sweet annie, hay, holy basil and more. 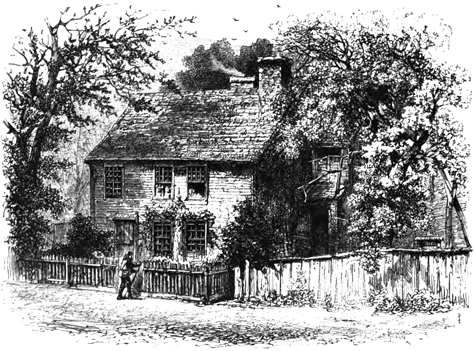 It contains a variety of woods including cypress and cedar. 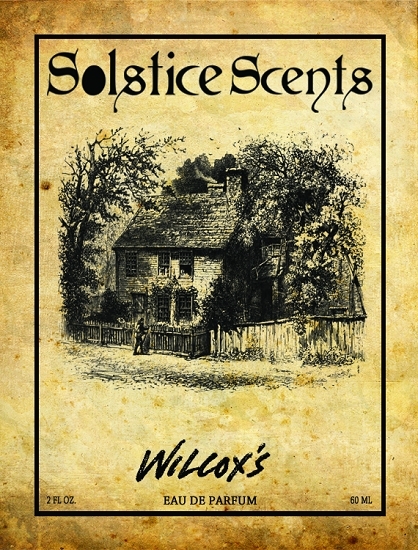 Wilcox's is a cousin to our popular Witch's Cottage fragrance, which also has warm woods and herbs. Wilcox's is more herbal and does not contain the fruit and pastry gourmand notes. It is very cozy. Opens with a blast of woods and fresh rubbed herbs from running your hands in the cottage garden. 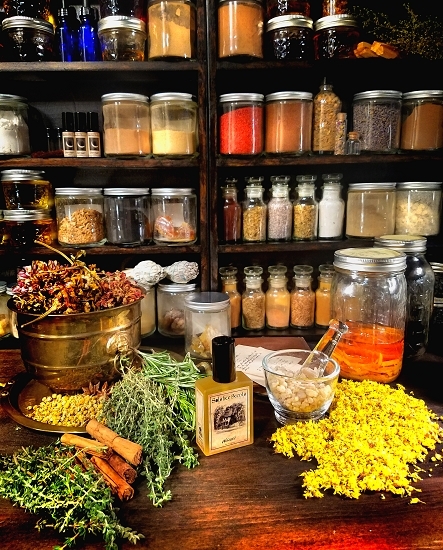 After a few minutes, the warm, cozy interior of the apothecary begins to emerge focusing on the wood walls, floors, polished counters and cabinets and evolving the dry herbs and spices aspect of the scent. There is a soft natural sweetness to the blend as well, which helps round out the herbs to keep them from reading too sharp. The spice aspect is very light; it is primarily a warm woody herbal fragrance. Contains a variety of essential oils traditionally used for calming, peaceful sleep and vivid dreams.